Do you need traditional stucco repair in Columbus Ohio? What do we mean by traditional or "three-coat" stucco? How is it installed? In order to truly understand its "pros & cons" and how to stucco, it's important to gain and understanding of its history and why it has been successfully used in residential construction for almost 100 years. Traditional, or "three coat" stucco which is often also referred to as conventional stucco, is known as "three-coat" because it is installed in three separate layers. The system starts with a simple drainage plain based on building paper over the framing members of a structure. Building codes call for two layers of Grade D building paper, which consists of virgin wood fibers, saturated with tar. This paper serves to drain water, so it is imperative that it is properly tied into flashings around windows, door and pther penetrations. Roof flashing systems are also necessary to divert roof water away from the stucco system. The paper and flashings have to overlap each other in a away that creates a solid shingle effect. Over the papers and flashings, metal lath is attached to the wall with wad nails and/or staples. Metal lath serves the crucial purpose of holding the cement base coat in place. The base coat is comprised of a 3/8 inch initial application, referred to as a 'scratch coat', and a second 3/8-ince application known as a 'brown coat'. The finish or 'color coat' is a thinner aplication of only approximately 1/8", making a total system thickness of about 1 inch, inclusive of the paper and lath. The plaster system it itself equates to only 7/8". In application and how to stucco, the scratch coat can be "shot" (by a stucco pump for larger or commercial applications), or hand troweled into the lath mesh and scored with a scratch tool. The scratch tool is used to provide ample stucco 'keying' for the second or brown coat to bite into. The brown coat can be applied in the same fashion, but tooled flat with the use of a 'rod' or 'darby'. The brown coat is CRUCIAL to produce a uniform finish and must be paid special attention to at all times. Both the scratch and the brown coat should have sufficient time for curing for maximum performance. The scratch coat only needs 48 hours before the brown coat can be applied. The brown coat, however, needs a solid 7-10 days of sufficient "moisture curing" before the color coat is applied. "Moisture curing" basically means that the surface area should be 'moistened' with fresh water in order to "demote" rapid curing. In knowing how to stucco, this element is extremely important. The slower a base coat cures, the stronger it remains! Despite the major advancements in stucco technology over the past decade, traditional stucco is still a predominant system- but far from alone. There are now over forty different modified and/or proprietary hard coat stucco systems offered to the market-place, and more then thirty varieties of exterior insulation and finish systems (commonly known as EIFS) that all have the look and finish of traditional stucco. With products persistently entering and leaving the market, and new hybridized systems that combine the characteristics of both synthetic and hard-coat systems, it's hard to keep tabs, let along comprehend how to stucco them all. These advanced stucco systems are also penetrating markets where traditional stucco is largely unknown, and where the details that make stucco work are not part of the local tradition. In place of the standarad water managerment factors that govern traditional stucco, these new systems are regulated through evaluation reports (ER reports) and proprietary stipulations that one must locate and study individually. With the general lack of knowledge and application experience, and without simple references required for proper detailing, some installation "professionals" have made an abundance of mistakes, simply not knowing just how to stucco hard-coat or synthetic stucco. 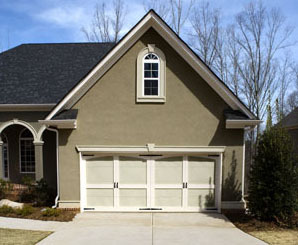 At Ohio State Stucco Company, we have recognized and embrace all aspects of stucco application, whether old or new. While we remain firm favorites of the traditional form of stucco application, we are also proud to boast one of the most knowledgeable and outstanding acrylic modified/EIFS operations in the entire USA. Whether you are an industry professional who truly knows how to stucco; or a first time home buyer with little to no knowledge, we have you covered regardless.